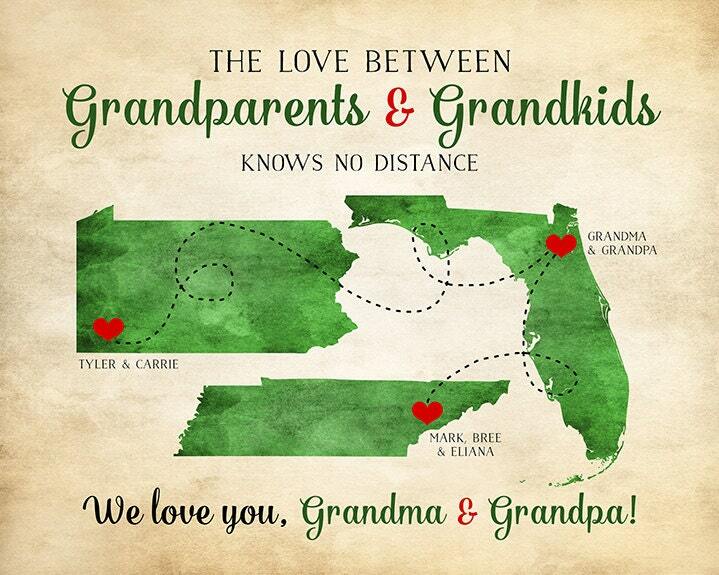 A Heart sits atop two-three locations of Grandparents and Grandkids. Quote can be changed to reflect your family. 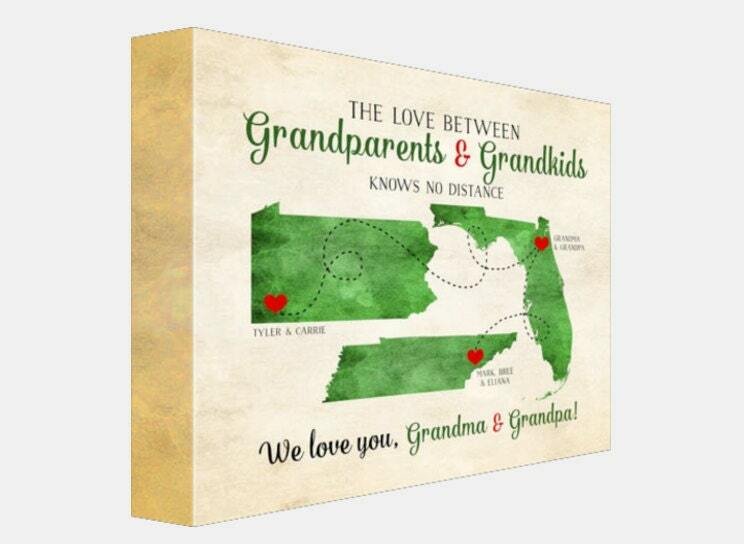 It could say "Mother and Son", "Grandmas and Grandkids", "Father and Daughter" etc. !